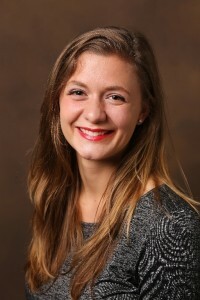 Erin Verbeck is a senior in the College of Arts and Sciences and studies Anthropology. She hails from Minnesota, where she learned the importance of education, to hate the Packers, and to appreciate a hardy winter jacket. She is fascinated with the concept of holistic wellness, and how the world and worldly conventions influence and inform wellness. This passion motivated Erin to create and run a wellness program at Preston Taylor Ministries (Nashville) this summer, to advocate for food policy change in the Nashville government, as well as train to become a fitness class instructor! She plans to attend graduate school to study the intersection of nutrition and urban schooling; how does access to healthy foods affect a child’s ability to learn? Erin is incredibly indebted to her family and friends, her mentors, and the Ingram Scholarship program, and wishes to thank them for the invaluable opportunities they have allowed her. “Behind the Curtain, In Front of the Screen: The Impact of Social Media on Perceptions of Self and Others” attempts to navigate the questions listed above from a social media standpoint. Our online presences are beautiful, composed, and always seem to be more content than we actually are in real life. How does this impact our perceptions of self, and the perceptions of other people who are leading perfect lives?